Hi again, welcome back to day two of our JustRite Papercrafts May release. Today I have another sweet card to share with two more brand new stamp sets. 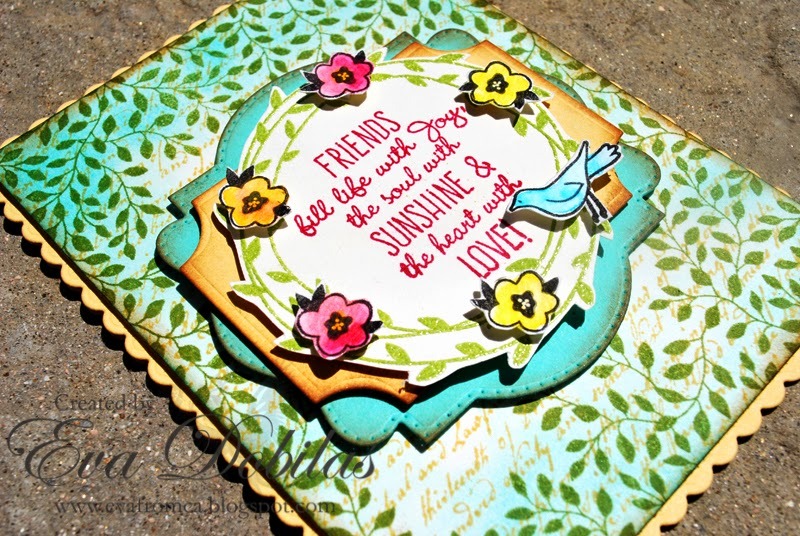 To create my card base I used Cheery Lynn Designs A2 Frames Rectangular Scalloped dies out of yellow card stock. 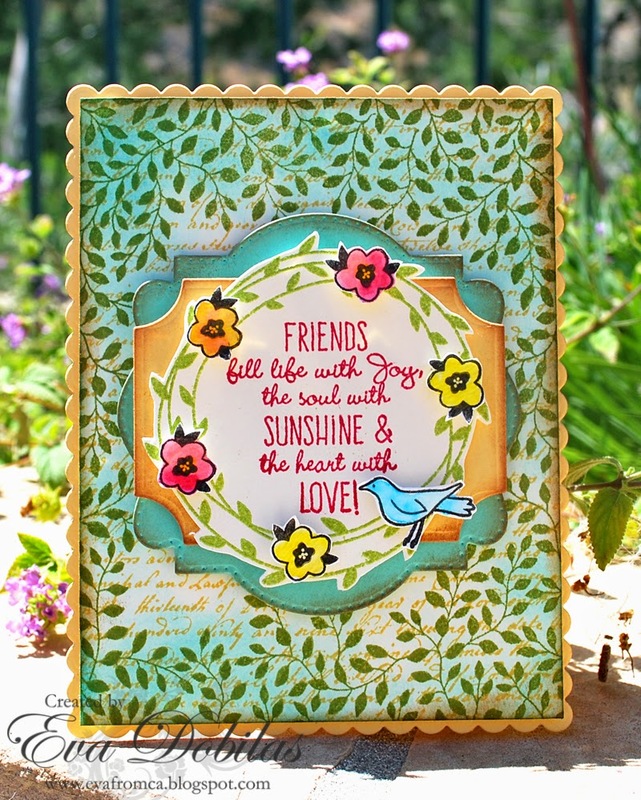 Than I took a rectangular card stock, which I cut down to fit inside the card base and stamped it with the Script Background stamp with yellow ink and than with our new A2 Garden View Background Stamp to have a layered look. With all the JustRite Papercrafts background stamps you can always try to layer some of them to create a new effect. Than I stamped my wreath stamp onto cream card stock and the sentiment in the middle of it. I also stamped the little flowers and the birdie onto white card stock and painted them with watercolor. I used pop dots to add them to my wreath. Finally for more layers I die cut a Cheery Lynn Designs Pierced Stacker #3 and Coved Rectangle out of yellow and turquoise card stocks. And there is another sale happening at JustRite Papercrafts you might want to check out. Here are the details. And now it's time for you to check out with my super talented design team mates have created with today's stamps. Thanks for stopping by and hope you enjoy seeing all the pretty creations!